I received a long awaited package in the mail this week: the Janome Horizon Memory Craft MC9400 QCP Accessory Upgrade Kit. If you haven’t heard about this kit and don’t know why I’m so excited that it has finally arrived, I’ll tell you! The Janome 9400 Accessory Upgrade Kit contains a USB that will allow you to upgrade the software in your Janome 9400 to allow you to use the four new feet that are included in the kit. The feet are the QR foot (ruler work foot), the QZ foot (variable zigzag open-toe foot), the O foot (1/4″ seam foot without guide), and the PD-H foot (darning or open-toe darning foot). I know it’s tempting to attach and play with these feet, but you really need to upgrade your Janome 9400 first, so put those feet out of sight and let’s upgrade your Janome MC9400. It’s quite simple to upgrade your machine and the Accessory Upgrade Kit includes a USB stick which has the new software on it. There are just a few steps to go through before you’ll have your Janome MC9400 all updated and ready to accept those new feet. To upgrade your Janome MC9400, get out the little instruction booklet that came with the Accessory Upgrade Kit and turn to page 5. You’ll also need the USB stick that came in the Accessory Upgrade Kit. Before you get going too quickly on installing that upgrade, you want to be sure that the software in your Janome MC9400 is version 2.0 or lower. How can you tell what version of the Janome MC9400 you have? It’s easy! 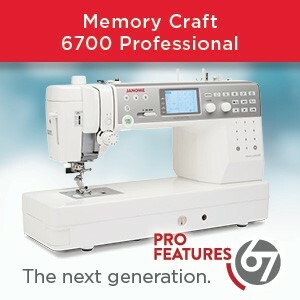 Turn on the Janome MC9400 and watch in the bottom right-hand corner of the display screen. You will see “Ver.” and a number. This information is only shown for a few seconds, so keep your eyes on the bottom right-hand corner of the display so you’ll see it when you turn on the machine. Assuming that you need to upgrade to version 2.1, you’ll need to turn off your Janome MC9400 and get your USB stick. To make sure that you install the new software correctly, click here to go to my blog for a step by step tutorial. It’s really quite quick, but there are a few key points that you need to be aware of so that the software is installed correctly. Once you’ve upgraded your Janome MC9400, you can start playing with the new feet. I’ll have future blogposts to give you information on how to use these feet, especially the QR or ruler work foot. 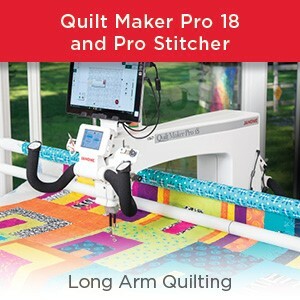 I know that all of these feet for the Janome MC9400 are going to be very helpful and will expand the type of stitching you’ll be able to do on your projects. 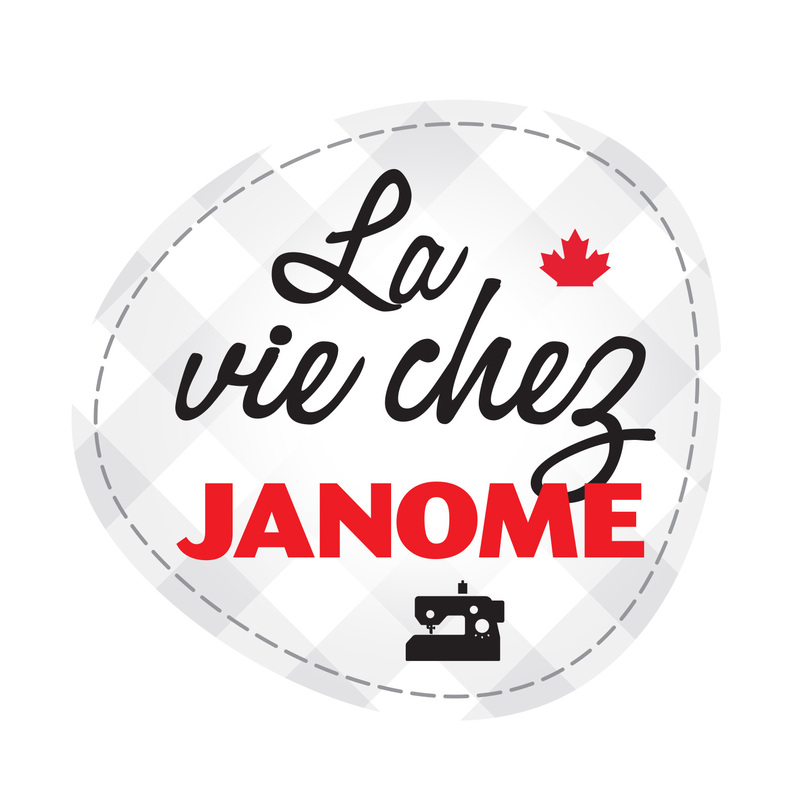 Happy stitching from Kim Jamieson-Hirst, Janome Canada Artisan in Calgary, AB. 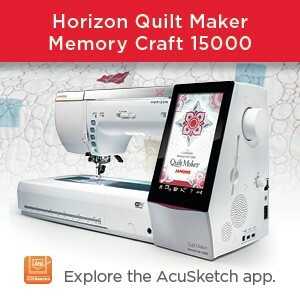 This entry was posted in Janome Horizon MC9400 and tagged Chatterbox Quilts, Janome Horizon MC9400, Janome Horizon MC9400 upgrade kit, Kim Jamieson-Hirst Janome Canada artisan. Bookmark the permalink.